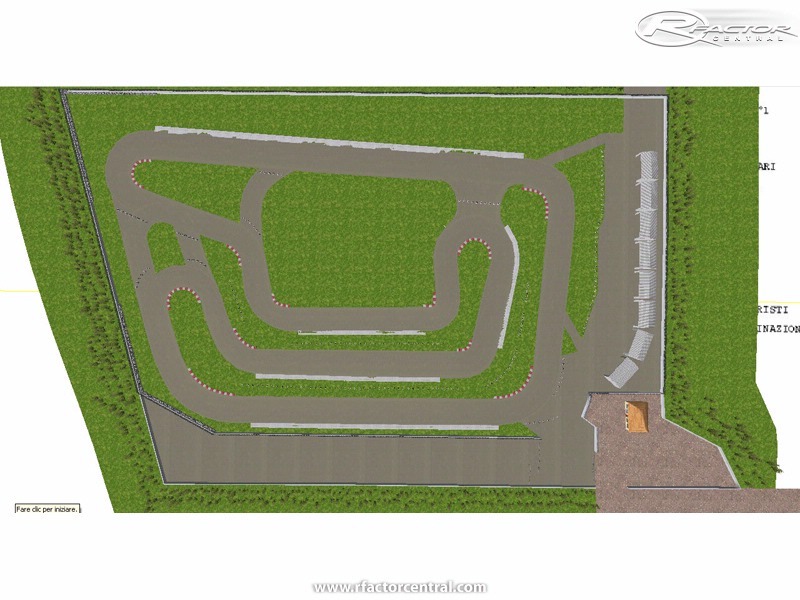 This is a real kart track, situated in Italy, near Pescara. It was often used for national championship races in different classes. It's a track where you can find a really fast sector, with three consecutive straights to do at full throttle, and a skill proving sector with a good sequence of turns. 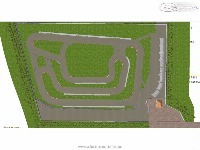 Real track measures and configuration. Pit garages for 24 karts (the actual capacity of the real track). This track is already usable, but I won't release an incomplete version. In my mind, the 1.0 will be the definitive version of this track, with all working like it should, so please be patient if I won't release it until I'm not satisfied. It's my first mod, so please be patient. I'm very busy and I'm doing this in my spare time, so I can not give you a certain day for the final release, can be some weeks, or some months, all is depending by the time I need to complete things to do. I've driven on this track in real life. salve ragazzi, quando rilasciano questa pista?? Mi scuso con chi aspetta questa pista ma urgenti e importanti impegni mi hanno costretto a sospendere la sua realizzazione. Ad ogni modo, non abbndonerò il progetto, ma semplicemente mi prenderò altro tempo per poter rilasciare una versione giocabile del tracciato. Grazie per la comprensione. - Hi, unfortunately, some jobs forced me to stop this project for several months; by the way, I'm not going to abandon it and I'll take my time to finally release a good playable version of this track. Thanks for understanding. non vedo l'ora ke finisca di fare questo bel lavoretto...in questa pista ci ho corso davvero...non vedo l'ora di farlo anche virtualmente!! !